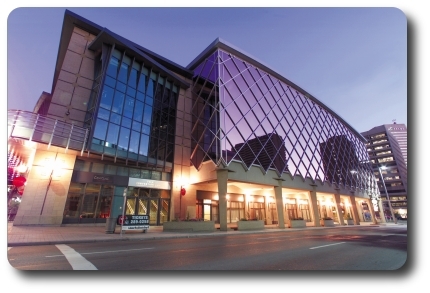 Our first North American end user seminar will be held May 23rd at the TELUS Convention Center in Calgary. Our end user seminars are geared toward taking the mystery out of FOUNDATION fieldbus and making end users and systems integrators realize the true lifecycle benefits of the technology. Whether you are a new user contemplating your first fieldbus project, an experienced user trying to get the most out of your installation, or a systems integrator that wants to implement fieldbus successfully, these seminars are designed for you. The best part is that through the support of our many sponsors, we are able to hold these seminars at no charge. Western Canada remains one of the most crucial markets for FOUNDATION fieldbus, with a large number of projects in a wide range of industries from oil sands to water and wastewater. This is a free seminar and it features some of the leading experts in FOUNDATION fieldbus. Come join us in Calgary! The Fieldbus Foundation and ARC are conducting a survey on process fieldbus selection criteria, installation, and challenges associated with the implementation and operational phase of the technology. While we are interested in who is installing fieldbus and why, we also want to improve fieldbus technology and the user experience. The results of this survey will be used to improve fieldbus technology and services for the end user. All who respond to this survey will receive a consolidated copy of the results. Thanks for taking our survey! We will be conducting developer training courses in Frankfurt, Germany at BIS Prozesstechnik GmbH in May and the deadline for registration is approaching faster than a control loop executed in the field! Introduction to FOUNDATION Fieldbus Course will be held May 8th. Advanced Principles of FOUNDATION Fieldbus will be held May 9-11th. If you are considering developing a FOUNDATION fieldbus product or simply need to train new developers for your existing solutions, you should attend these courses. Registration deadline is April 17th for the Introduction course and April 18th for Advanced Principles. You can download the full PDF with all the information you need about this year’s developer courses here. Hope to see you in Frankfurt! The Fieldbus Foundation joins the FDT Group, HART Communication Foundation, PI (Profibus and Profibus International) and the OPC Foundation, to host the second co-sponsored Field Communication Lounge in Hall 9, Booth D05, at this year’s Hannover Fair, Germany, from 23-27 April, 2012. With its theme, “Bringing Field Communications together for YOU,” the aim of the Field Communication Lounge is to create a single area for visitors to see and experience the latest in field communication technologies and discuss how these technologies work together to deliver powerful results to improve plant operations, performance and a company’s profitability. The Lounge’s combined exhibit concept better aligns with the way in which users often integrate field communication technologies at their own facilities. Visitors to the fair will have a central location to discuss and compare the leading automation communication protocols – their advantages, their applications, their integration, and how they can work together. One key feature of the 570m² Field Communication Lounge is the common display area in which the organizations will exhibit their individual process and factory automation communication technologies in dedicated technology kiosks. The Fieldbus Foundation will use its technology kiosk to conduct live technology demonstrations using its multi-vendor systems to show the benefits of the technology across the plant lifecycle. The demonstration systems consist of several live Foundation fieldbus segments, featuring three DCS systems and numerous field devices and physical layer components. The fully functional set-up allows the demonstration of all situations which may occur during the installation, commissioning and operation of a real process plant. Diagnostics according to NAMUR recommendation NE107; Control in the Field (CIF), and performance under extreme conditions will be simulated; and the new DesignMate software planning and implementation tool will be utilized. In addition to the five technology displays, member companies of each association have the opportunity to be featured on purpose-built company kiosks to present practical field communications solutions including field devices, configuration, control and asset management applications, wireless technology, integration products, and other solutions that deliver value and benefits to the enterprise today and in the future. The Field Communication Lounge also features a common presentation forum in which experts from the five organizations will present the latest field device communication technology solutions during a series of 30-minute technical and educational presentations to be held daily from 10.30-16.00. Fieldbus Foundation members participating in the Field Communication Lounge include: ABB, APAT, Emerson Process Management, Endress+Hauser, Fieldbus International, Heinrichs Messtechnik, Honeywell, Invensys, Leoni, Pepperl+Fuchs, Phoenix Contact, Rockwell, R. Stahl, Siemens, Softing, Yokogawa and many more.The Field Communication Lounge exhibit will also be used at this year’s ACHEMA 2012, 18-22 June 2012, Frankfurt, Germany, located on Mezzanine Level 11 via B29. For more information about the Fieldbus Foundation German Marketing Committee and its activities visit the Fieldbus Foundation’s website http://www.fieldbus.org, or email germany@fieldbus.org. More information about the Field Communication Lounge and the presentation schedule can be found at www.fieldcommunicationlounge.com.